Ventricular Tachycardia (VT) is a potentially life threatening rhythm disturbance which involves the main pumping chambers of the heart.  Patients often present with episodic loss of consciousness and/ or severe dizziness. It is much more likely to occur in patients with a previous heart attack. Patients often need implantation of an Implantable Cardioverter Defibrillator (ICD) to treat future episodes. 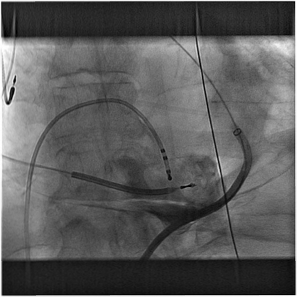 If the VT episodes are frequent, the VT focus may need to be removed by catheter ablation. This involves mapping the inside of the heart and looking for potential culprit site(s) for VT to burn away with RF energy. 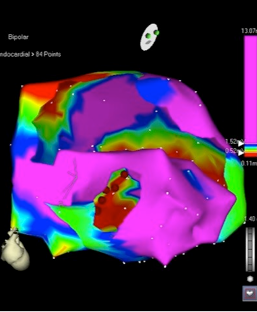 In some cases, even the outside of the heart (epicardial surface) needs to be mapped and ablated to get rid of the VT fully. This requires a special technique (Percutaneous Transepicardial ablation, PTEA) and Dr Dhiraj Gupta is one of the handful of specialists in the UK who is specially trained in this technique and who performs this routinely.